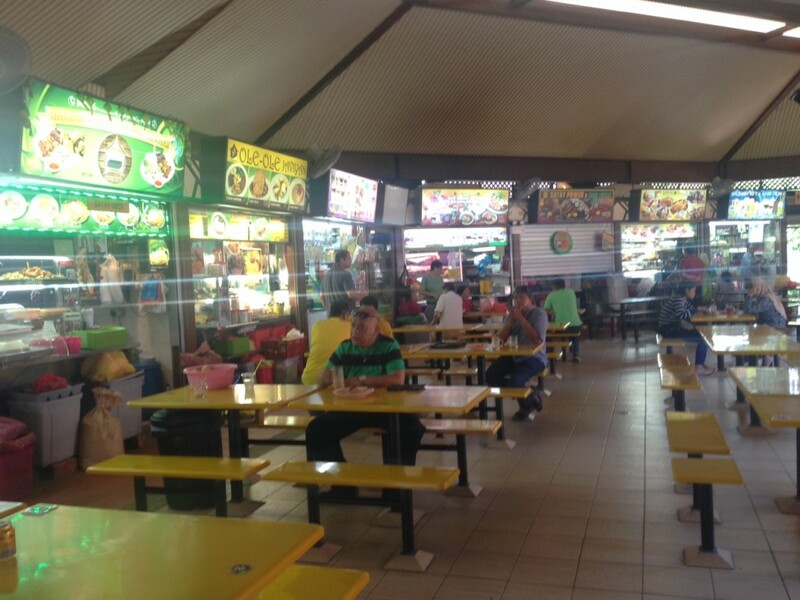 Now this here is the typical scene at Bedok Corner Food Centre on a weekday morning. Sometimes, there are tables of freshly shorn young army boys among the lot — one of the big Singapore Army training camps in the area is right across the street. Although I’d spied Sinaran Cahaya Bedok Corner for many years, I’d never tried anything there. There’s usually not much of a line there, which I tend to take as an inauspicious sign. They do the usual range of dishes — coconut rice breakfasts, curried soups with rice patties and vegetables, fried chicken or fish with rice and more. The mee soto here was about the same price as those at the other stalls — SGD $3.50 (USD $2.64). The begedil here, at about an inch and a half in diameter, was smaller than those at the other stalls, which are probably about 30% to 40% larger. It packed in a lot of flavor, however, and the consistency within was just right — mashed well but not so creamy that it didn’t hold its shape long after being soaked in the broth. Once everything was all mixed together, the tasting began. I had been worried that this might not be the fairest test of this place — I hadn’t had a bowl of mee soto in months, after all. And this is a Singaporean breakfast that I actually wake up craving with some regularity back in New York City. So I was concerned that I might be so overwhelmed by the first sip of soup that it might instantly seem like sheer perfection to me. Well, it wasn’t. It was tasty, to be sure — you can’t go wrong with all the spices loaded up in this soup, really. What usually goes in includes ginger, cinnamon, star anise, cardamom, galangal, turmeric, white pepper, cloves, lemongrass and more. You can imagine the flavor bomb it truly is. 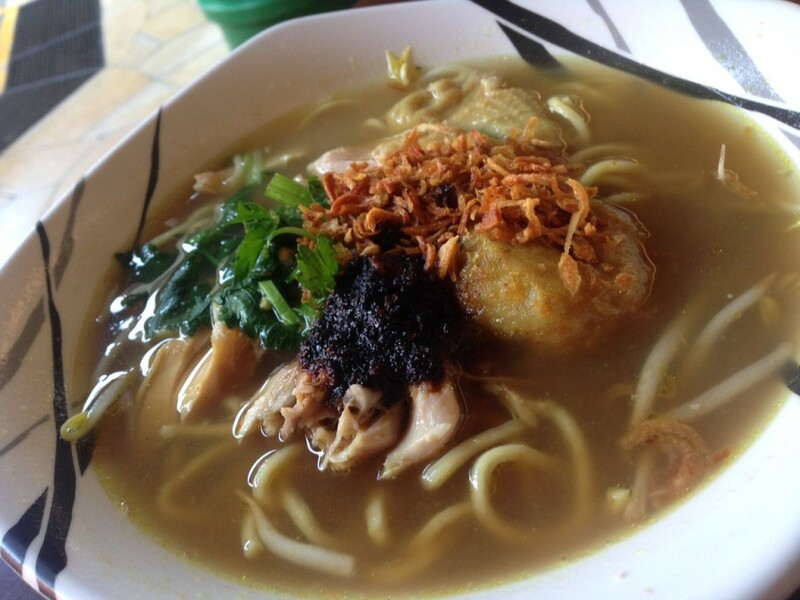 The flavors were good in Sinaran Cahaya’s broth but it tasted slightly watered down. (Some of my favorite mee sotos have such hearty broths sometimes you feel like you’re actually chewing on the soup.) The combination of everything else was lovely (the noodles nicely al dente etc.) but if the broth — the main component — is just 70% there, it throws everything off. 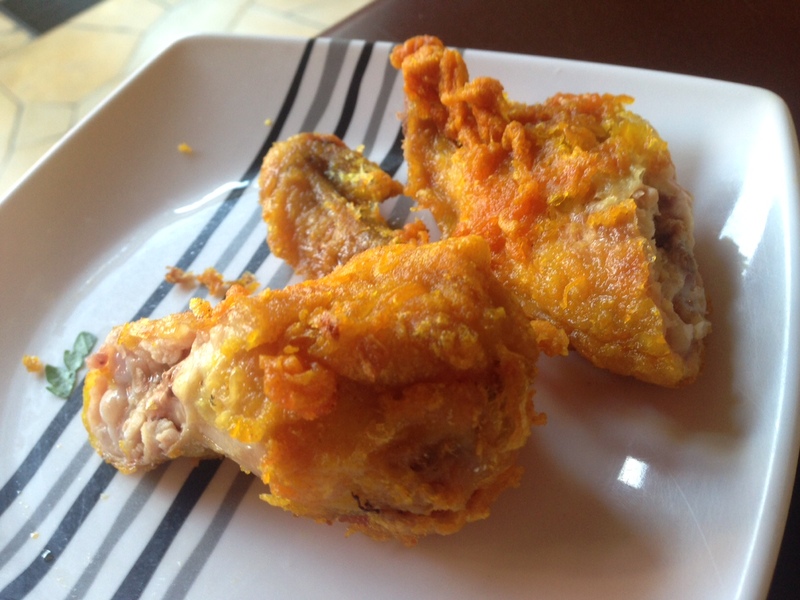 Malay fried chicken wings — another major favorite of mine — are another usual test for me, too. And these (SGD $1.50; USD $1.13) were not bad — nice crunch, OK seasonings. I suppose the lesson here is to listen to your instinct. I’ve lived in this neighborhood in Singapore for 25 years now and had never actively sought out this stall for one reason or another. Well, one down. Four to go. 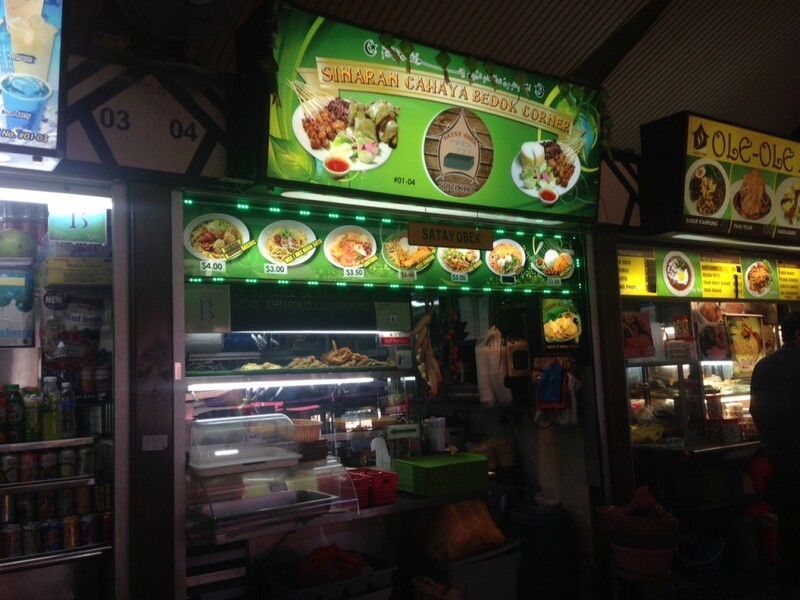 Sinaran Cahaya Bedok Corner, Block 1, Bedok Road, Bedok Corner Food Centre, #01-04, Singapore.